Who doesn't love a stocking? No matter what age you are I think there is nothing more exciting on Christmas morning than discovering lots of mini goodies tucked into a festive stocking! 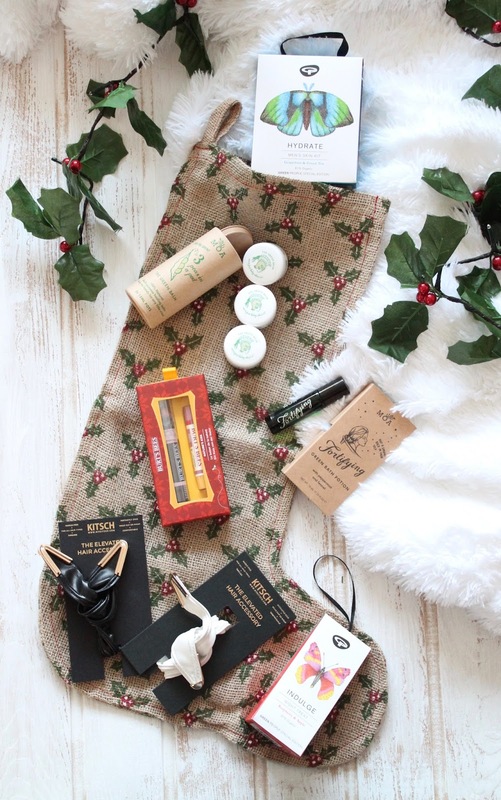 I've complied a few little gift ideas that I think make the perfect little stocking fillers. What makes this gift perfect for any man is that Green People's formulas are designed to be gentle on the skin so this kit will be good for even guys will sensitive skin. The added bonus is that this set is part of Green People's Butterfly Gifts range which is in support of the Butterfly Conservation. For every Butterfly gift they sell they make a donation (with this gift set it is 30p) to the Butterfly Conservation to help the protection of butterflies and moths and their habitats within the UK. Peas In A Pod is the famous The Green Balm in miniature form times by three. That's right three ultra dinky pots of the most amazing multi-purpose balm. Keep them together in this handy little tube or pop a pot wherever it is needed. 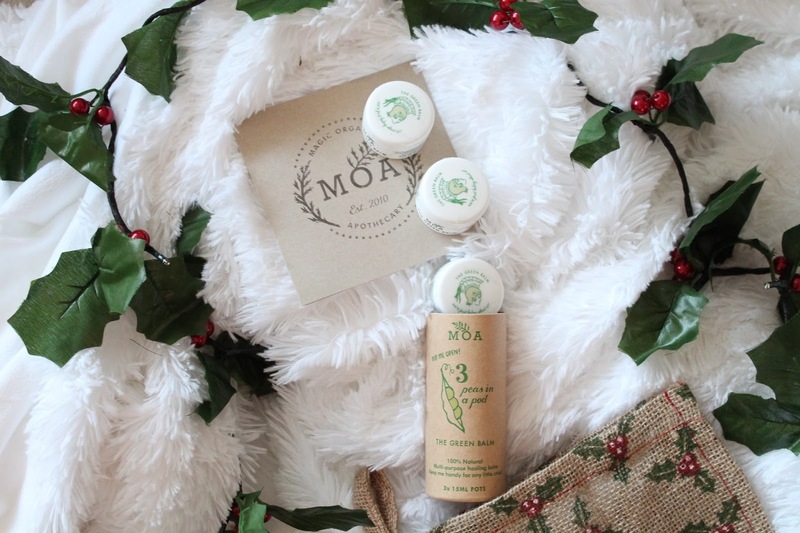 The best kind of stocking filler for anyone, this balm can be used for nearly anything - it's like multiple gifts in one! Another little marvel from MOA. This is again tiny version of a hero product. They've created a perfect one shot sized version of their incredible Fortifying Bath Potion. So mini it fit in a stocking or a handbag but big enough to pack a punch when added to the bath. This is relaxation a bottle! At this price you could even pop in a couple! This gift set would be great for a younger girl who is just starting out with makeup or simply a lip balm junkie like myself! The colours are suitable for most skin tones swaying very much towards a my-lips-but-better effect. The minty scent also reminds me of Candy Canes! Something a little bit different if your giftee is not as mad about beauty as they are fashion! These are the Kitsch Elevated Hair Accessory, in other words super cool hair ties. These hair ties come in a range of colours and very importantly are completely vegan! They come with a wire insert so you can use them any way you like while avoiding the dreaded hair dent and also being comfortable in knowing that although they look like leather, they are in fact completely vegan. Let but no means least another great Butterfly Gift from Green People. The same principle applies with this gift with 15p form this one going toe the Butterfly Conservation. This Indulge Night Treat night cream would make a lovely stocking filler for your mum in my opinion. Mums are always so busy so it's nice to give a little something to give her a bit of a pamper without her having to do anything but pop it on and hit the hay. Additionally if you are interested in trying more of the range you can pop the code BUTTERFLY into the checkout and receive a cheeky 10% off your purchase.